Which path will you take? Your Kahala Brands journey begins here. Not sure where to start? Take your first step by taking a look through our brand overviews below and completing an application. At Blimpie®, we were one of the first sub shops on the block more than 50 years ago and today we are still just as confident in what we do and the subs we make as we were on opening day in 1964. 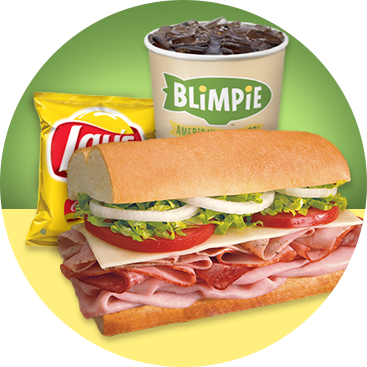 The heart and soul of the Blimpie concept is great food. We offer fresh-sliced meats, stacked on oven baked bread topped with real cheeses and an assortment of mouthwatering toppings. 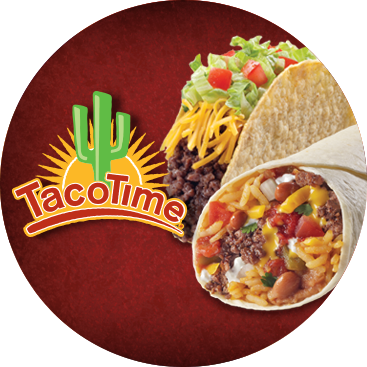 TacoTime™ offers a tasty variety of freshly-prepared, home style, Mexican fare. We serve quality, fresh ingredients in large portions with a special blend of spices to create a unique flavor profile. 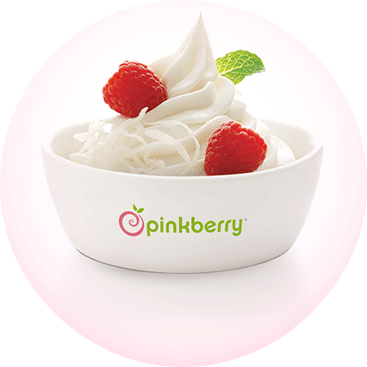 Pinkberry® launched in Los Angeles, Calif. in 2005 as the original brand that reinvented frozen yogurt and over a decade later has more than 260 stores in 20 countries. Today, Pinkberry continues to create great tasting treats with fresh ingredients in an experience comprised of distinctive product, outstanding service and inspirational design. At Pinkberry you can taste the difference of an uncompromising commitment to quality and freshness. 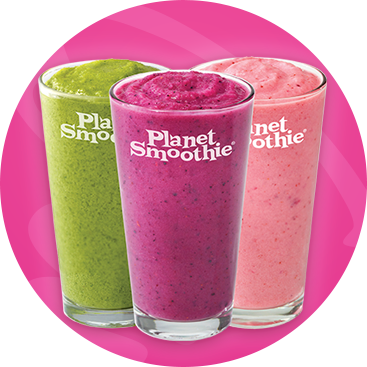 Planet Smoothie® believes that all smoothies are not created equal. We are motivated by delivering great-tasting products in a vast variety of options to fit the unique needs of our customer that their taste, fitness needs and lifestyle demands. 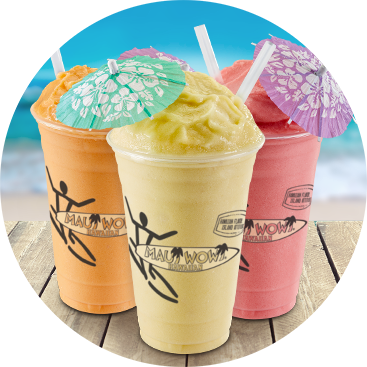 With more than 20 years of experience, we know our guests enjoy our delicious, real fruit smoothies. The Planet Smoothie mission is to deliver an awesome smoothie experience each and every time you visit our store. 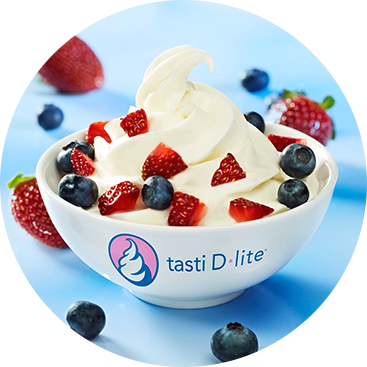 Tasti-D-Lite® is a New York City original and has been proudly serving our loyal customers, creamy delicious dairy desert, for more than 20 years. Tasti D-Lite customers want it pure so we use natural ingredients. 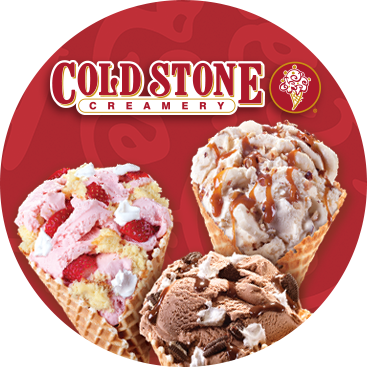 We use just enough real sugar and we spend considerable time crafting our more than 100 flavors. It's just the right blend of science and common sense. Tasti D-Lite is blended fresh every day with fewer calories, less fat and none of the guilt. 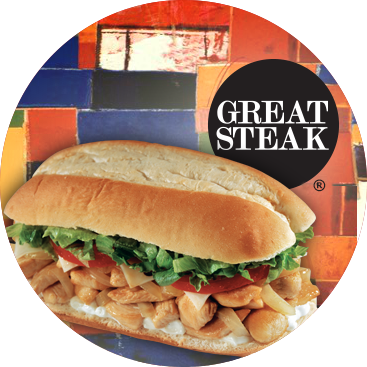 Our concept is a simple one; a "meat and potatoes" operation, proudly serving America's Premier Cheesesteak®. All Great Steak™ meals are custom prepared using only the finest quality ingredients, grilled to order and sizzled to perfection. With our specialty cut meats, quality cheeses and a secret blend of proprietary seasonings, a meal at Great Steak truly is a one-of-a-kind experience. 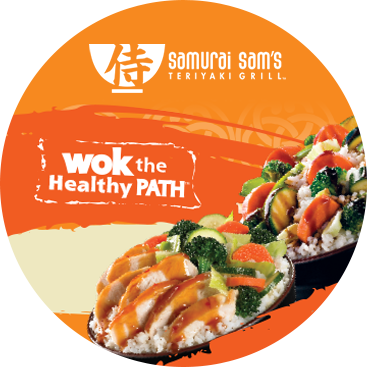 Samurai Sam's® prides itself on being a great tasting, healthier alternative in the world of traditional fast food. We serve a variety of Japanese favorites including our famous teriyaki chicken bowls, yakisoba noodle dishes and grilled egg rolls. 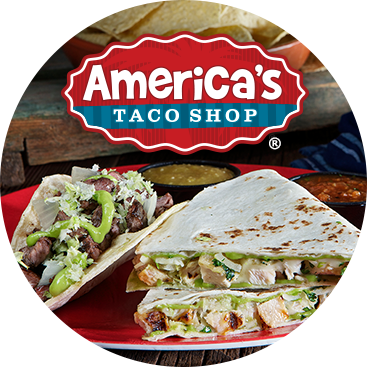 At America’s Taco Shop®, we offer a dining experience unlike that of your typical quick-service restaurant. To put it simply, we’re passionate about good food. Our specialized menu allows us to be known for our premium carne asada; marinated, grilled and chopped fresh daily. We think there’s something to be said for real, fresh, authentic food. 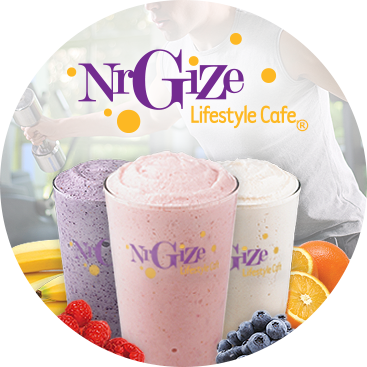 NrGize Lifestyle Cafe™ offers a healthy menu entirely focused around real fruit, essential nutrients and vitamins, workout supplements* and a delicious taste. Our unique product line is centered on our proprietary low-cal smoothie mix and features items that are low in sugar, fat and carbohydrates but packed with flavor. 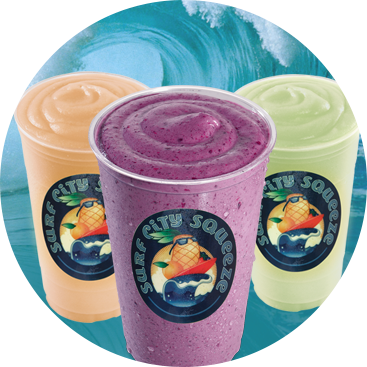 Surf City Squeeze® offers a product menu of nutritious fruit smoothies and energizing sports drinks centered on our proprietary smoothie mix. The menu also features a variety of high quality vitamins, nutrients and other special supplements* which provide health benefits that promote overall well-being. 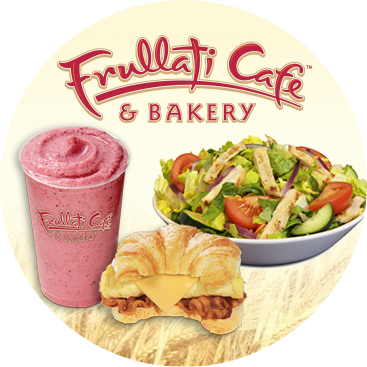 At Frullati Cafe & Bakery™ we pride ourselves on offering a healthier dining alternative. We serve a variety of fruit and sweet smoothies, grilled panini sandwiches, fresh salads, hand-crafted sandwiches and delicious bakery offerings. 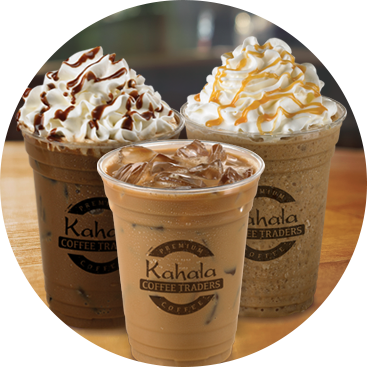 Kahala Coffee Traders® offers premium espresso, coffee and tea beverages using our signature Kona blend coffee and European espresso. We also offer a variety of baked goods and convenient grab-and-go sandwiches. 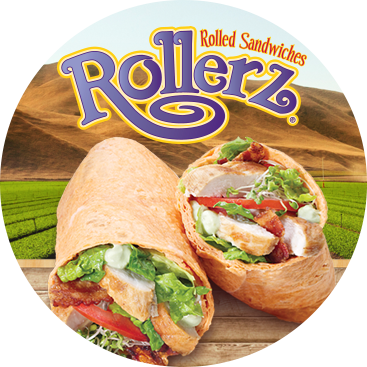 Rollerz™ serve tortilla wrapped sandwiches and freshly tossed salads. We take pride in being an affordable and nutritious alternative for today’s on-the-go customer. 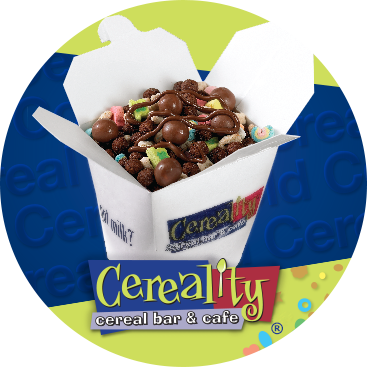 Cereality® brings a unique, highly personal, eating experience to the consumer, entirely focused around brand-name cereals. Customers can choose from more than 14 different cereal varieties, 20 different toppings, and choices of hot and cold beverages. The menu also features a wide range of popular signature Cereality blends of cereals and toppings. At Johnnie's™, we offer the finest Italian food, using only the freshest ingredients. 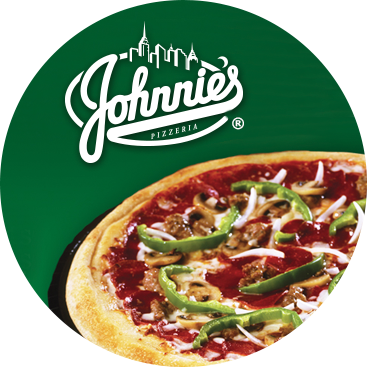 With a friendly neighborhood atmosphere and secret family recipes, Johnnie’s New York Pizzeria™ is a classic favorite among pizza lovers. 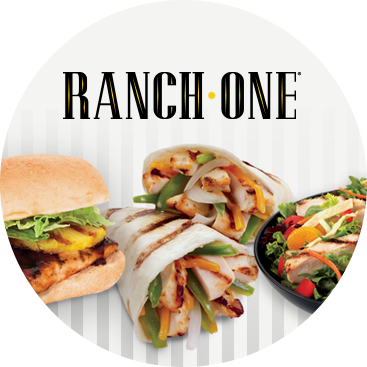 At Ranch One®, our philosophy of preparing everything fresh is second to none. We serve premium quality boneless, skinless chicken breasts as fresh as you’ll find on your backyard grill. Maui Wowi® is a mobile business, offering delicious fruit smoothies made with probiotic yogurt and premium gourmet Hawaiian coffees. With the unique Maui Wowi mobile cart, a proven model for over 30 years, you can bring the product to the people! Anywhere crowds gather, from farmer’s markets to giant sports arenas, and everything in between, the uniquely flexible unit allows franchise owners to work where they want, when they want, and how often they want. 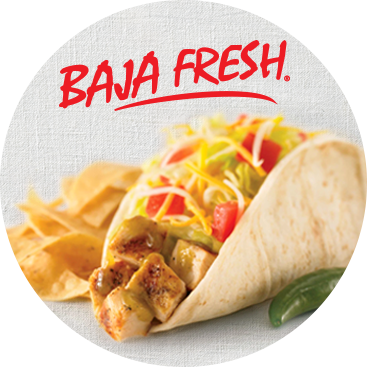 Baja Fresh® is passionate about serving the freshest and highest-quality Mexican food in our bright, clean restaurants. Baja Fresh believes in the benefits of eating well, being active and making a contribution to the communities they serve. Baja Fresh calls this philosophy "Live Fresh" and you'll find this attitude in everything they do. La Salsa® has grown into a fresh-mex favorite by continuing to take time honored traditional recipes from all over Mexico and updating them. 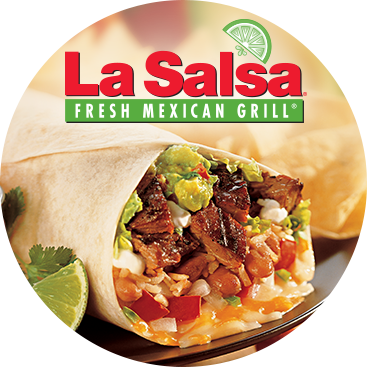 La Salsa puts their own fresh, delicious twist by using fresh ingredients and innovative preparation to bring the bold tastes and flavors of Mexico to life. 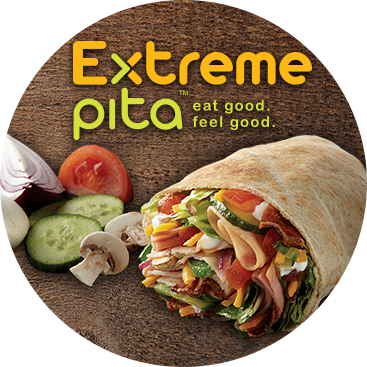 Simple, honest, authentic and full of flavor, Extreme Pita™ offers a variety of fresh made pitas, salads, flatbakes and entrees. Our ingredients are garden fresh, not garden variety. We feature, tender and juicy meats, marinated and prepared in house, premium and unique ingredients and wide variety of sauces. Then, everything is tossed and sauced to perfection! 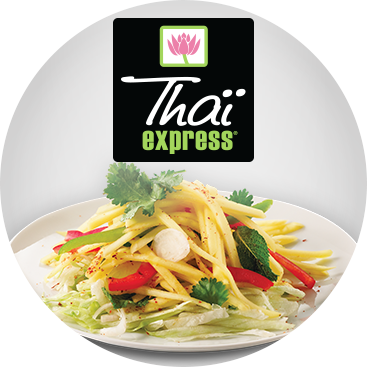 Thai Express®, the leading Thai quick-service restaurant concept in North America, offers a new take on traditional Thai Cuisine. Tailored to your taste buds and made-to-order, Thaï Express is proud to serve fun, flavorful & nutritious meals. The menu features a variety of Thai dishes freshly made from quality ingredients & authentic spices. 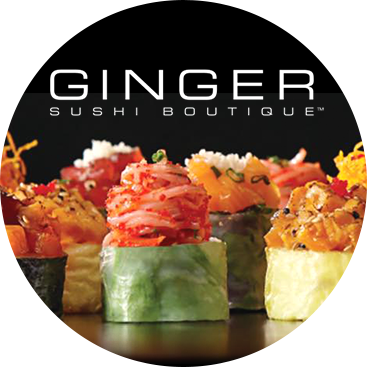 Ginger Sushi Boutique®, specializes in the creation of sushi, sashimi and other Japanese specialties prepared fresh with care by an in-house staff of sushi chefs. We respect the traditions, preparation methods and flavor combinations of the classic art of sushi but also like to create new interpretations that excite our customers and satisfy their desire for innovation. *These supplements have not been evaluated by the FDA. They are not intended to diagnose, prevent, treat, mitigate or cure, any disease, but rather serve as a dietary supplement intended only for nutritional support to a well-balanced diet of food. Please consult your physician before starting any supplement program, especially if you are pregnant, nursing or taking medication. These products are not recommended for children.